The Friday reveals at publisher Hi-Rez Studios' Hi-Rez Expo in Atlanta were almost too many to count. 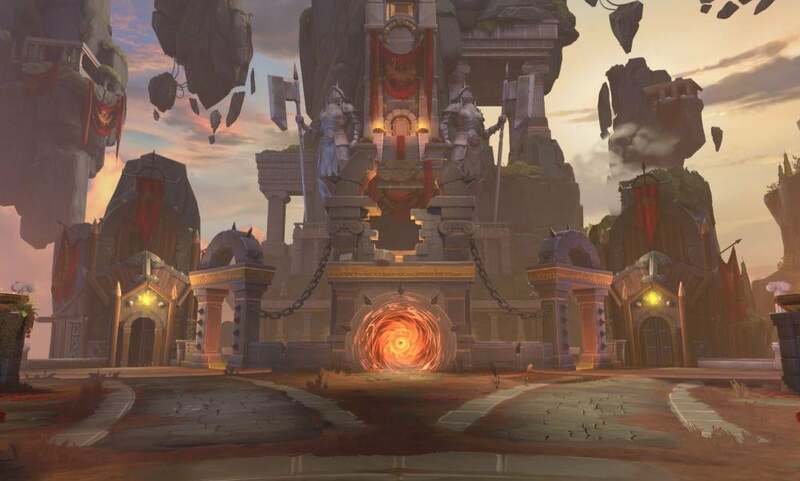 SMITE developer Titan Forge Studios took to the stage to announce the third-person MOBA's 99th and 100th playable characters and the rest of the Season 6 additions, upcoming cross-play and cross-progression features and a new Arena map. The studio also teased the 2019 god additions, revealed the Godslayer Ares skin, announced a new community leadership program and showed off a free bundle all players can claim. Titan Forge is trying a new method of revealing gods. Instead of spreading out god announcements over the year, the developer announced, or at the very least teased, all of the Season 6 gods at once. Gods 99 and 100, to be released in Season 6, will be King Arthur and Merlin. 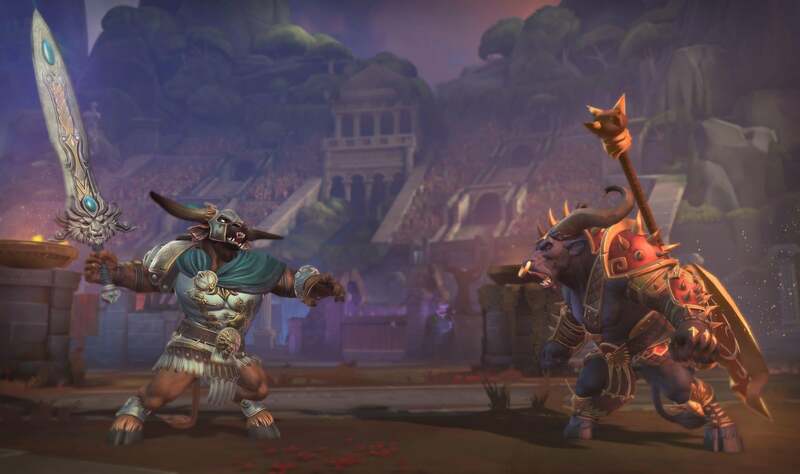 While they are perhaps not typical gods, SMITE Lead Designer AJ Walker said the two characters "fit within SMITE's rules of mythology and legendary characters." Walker discussed the play style of the characters in more detail in the below video. King Arthur will be a warrior with unique melee combos, and Merlin, naturally a mage, will have three different stances, showing off his mastery of the magic elements. Other Season 6 additions include Egyptian gods Horus and Set — the two will be released around SMITE's birthday, which is in March — and Jormungandr, the World Serpent in Norse mythology. The other gods weren't directly announced but rather teased toward the end of the video. One will be from a new pantheon and will "rise well above the heights of Mount Olympus." Another god will be from the "deepest, darkest depths of the Underworld." As for the last god of Season 6, the video states that it is a "being so powerful that its arrival will threaten the existence of all gods." SMITE originated on PC in 2012 and later migrated to consoles. 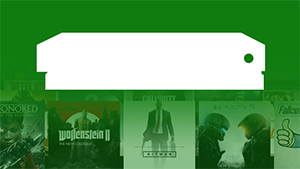 With a presence on so many platforms, thousands of items to be earned or purchased in-game such as playable gods, skins, icons, voice packs, plus the time players invest into character and ranked modes progression, cross-progression has been a popular request. There is also the matter of cross-play, combining the MOBA's multiple communities together. 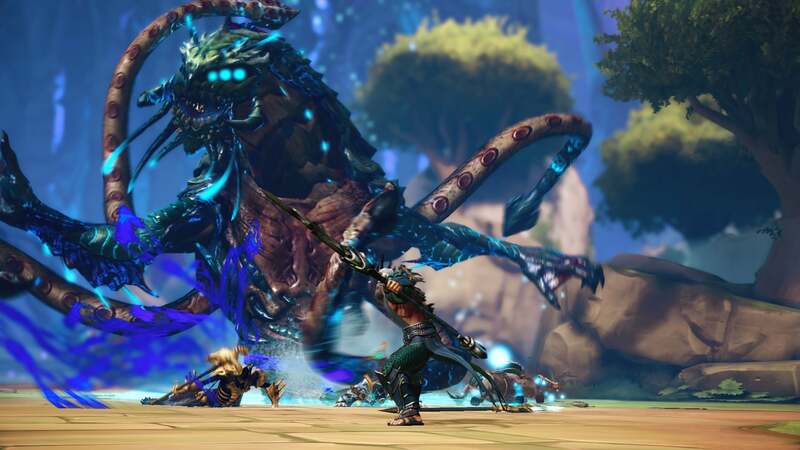 Titan Forge announced that both cross-play and cross-progression will be available for SMITE in 2019 between Xbox One, PC and a newly announced Switch version. PlayStation 4 was not announced to be joining cross-play and cross-progression yet, but Titan Forge said they have the technology to add more platforms to cross-play when the opportunity arises. 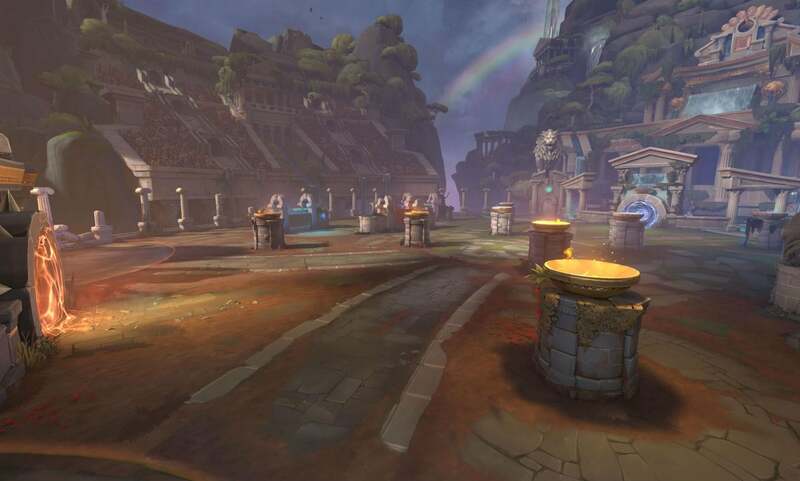 Arena, SMITE's most popular mode, is getting a revamped map. The map and its features depict the conflict between two of the game's playable gods, Hera, Queen of the Gods, and Bellona, the Goddess of War. The new map "presents an updated art style, improves gameplay clarity, and introduces a new foe, the Minotaur." The Minotaur will "lead the attack on the opposing base." 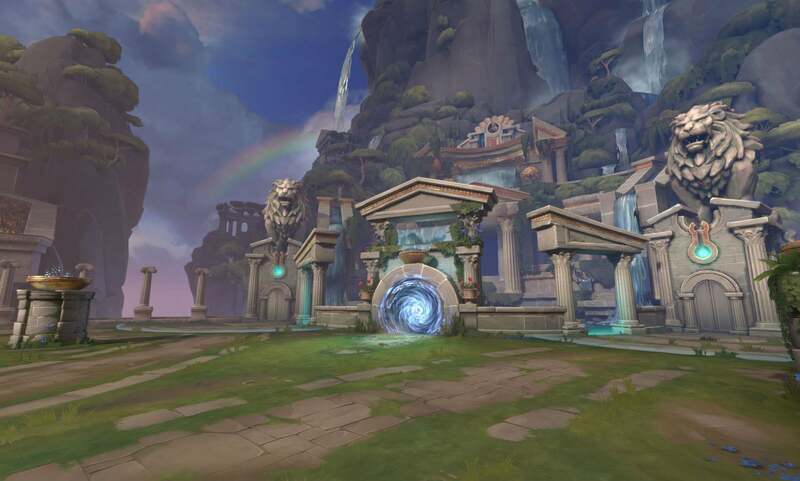 As a surprise to players, the new Arena map already went live during Hi-Rez's opening presentation. To celebrate the new Arena map, players can also redeem the free Arena Bundle until December 17th. The bundle includes seven free gods and their voice packs: Pele, Anubis, Nu Wa, Khepri, Odin, Cu Chulainn and Medusa. There are also eight free skins: Righteous Hammer Thor, Imperator Khepri, Typhoon Kukulkan, Battle Maiden Bellona, Hound of Ulster Cu Chulainn, Amethyst Nu Wa, Raven's Throne Odin and Worldweaver Neith. Godslayer Ares was voted by the community earlier this year to be the final reward of the Odyssey event, a tier five skin that gets progressively more elaborate as the match goes on. Titan Forge has revealed the skin for the first time in a trailer, with what appears to be the card art at the end of the video. Titan Forge also announced a player leadership council called The Olympians will be a new feature of SMITE. Players will elect representatives to communicate player concerns and feedback to the development team. Those elected to the position, who will serve for one year before new players are elected, will also get to visit Hi-Rez Studios once per year. The Hi-Rez Expo is continuing through the weekend, so look out for Paladins and Realm Royale announcements in addition to more SMITE news.